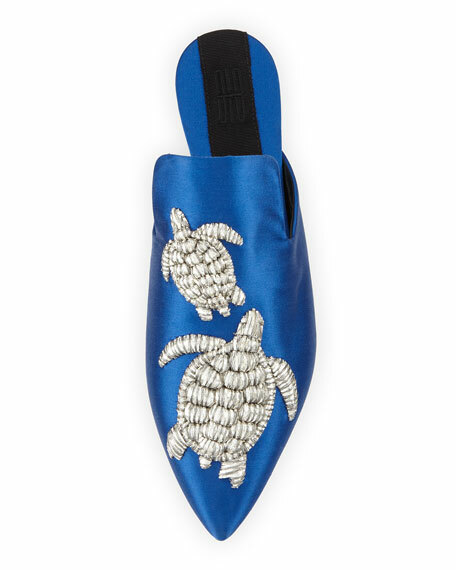 Sanayi313 satin mule with metallic turtle embroidery. For in-store inquiries, use sku #2373511. 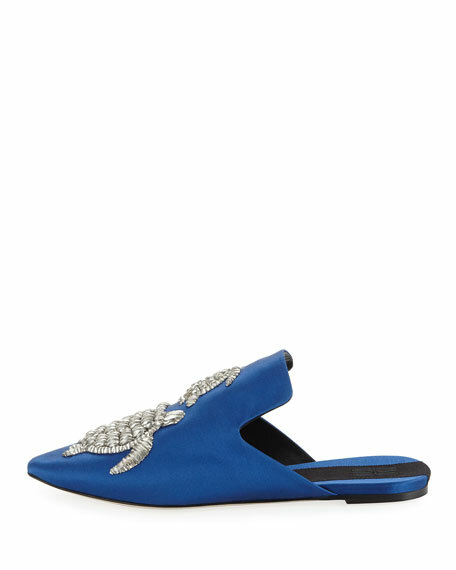 Aquazzura satin mule with jeweled embellishments. 4.3" covered stiletto heel. Pointed toe. Slide style. Leather lining and sole. Made in Italy. No. 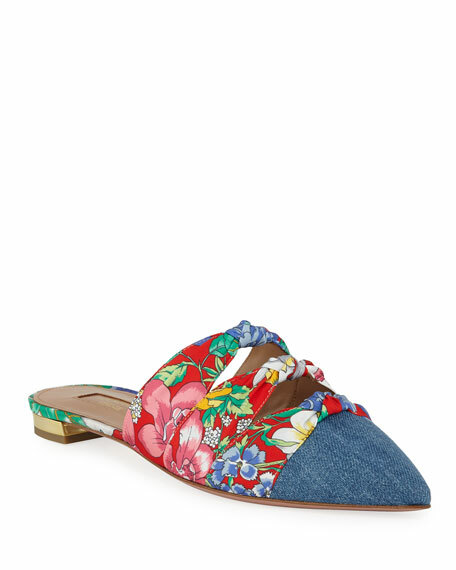 21 satin mule with knotted detail at upper. 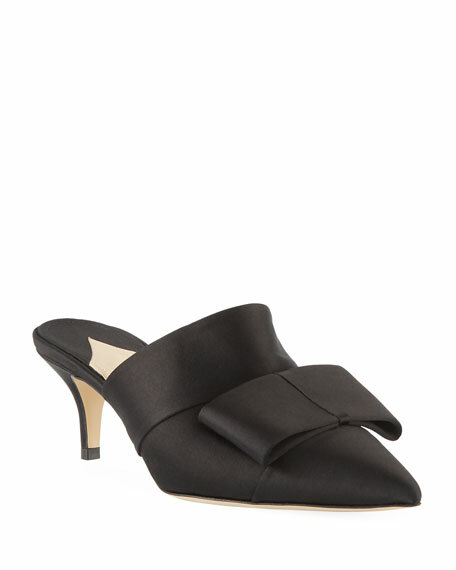 1.5" covered kitten heel. Pointed toe. Notched vamp. Slide style. Leather lining and sole. Made in Italy. 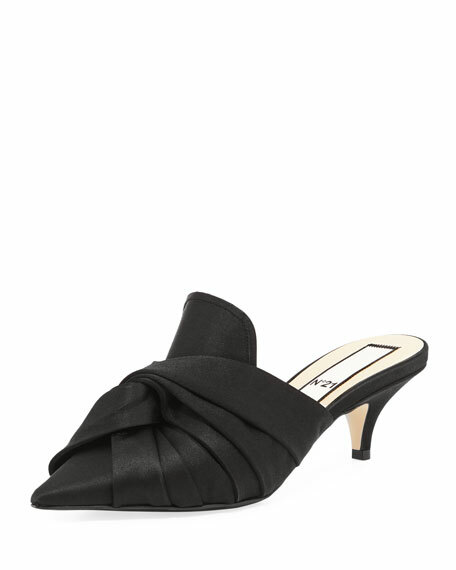 Paul Andrew "Kosuth" satin mule with large ribbon. 2.3" covered heel. Pointed toe. Slide style. Leather lining and sole.